Well, this weekend I mowed my yard for the first time this spring-hard to believe for March! For two weeks I’ve been advising people to wait on fertilizing or applying crabgrass preventer on their lawns. It’s hard for me not to stop my vehicle everytime I see someone using a lawn spreader right now and ask them to wait! It’s too early to apply pre-emergent herbicides and fertilizer. Wait another month (till at least April 20) before the first fertilizer of 1 lb/1000 sq. ft is applied. At that same time, pre-emergence herbicides can also be applied. Wait to overseed Kentucky bluegrass lawns till April 1 and Fescue lawns till April 15. You can check out a calendar of recommendations for all things concerning your lawn at the following site: http://turf.unl.edu/lawncalendars.cfm. When overseeding winter-killed areas, core aerate or power rake the lawn prior to overseeding to encourage seed to soil contact for better germination. Also, don’t apply herbicides to areas where you have overseeded as this will affect the germination of new seedlings. A timely meeting for lawn care has been scheduled and you can learn more by attending a Lawn Care for Home-Owners meeting Thursday, April 12 from 5:30-7:00 p.m. There is no charge and light refreshments will be provided. Learn about fertilizer labels and timing, calibrating your lawn spreader; irrigation timing for lawns; and calendars for lawn care maintenance. Please RSVP to the Clay County Extension Office at (402) 762-3644 or jrees2@unl.edu. Garden: It’s been hard for me to resist the temptation to remove the winter mulch I had on my perennials and flower beds but in the event of frost which still is a good possibility, it may be good to leave it on awhile longer if new growth has not occurred. 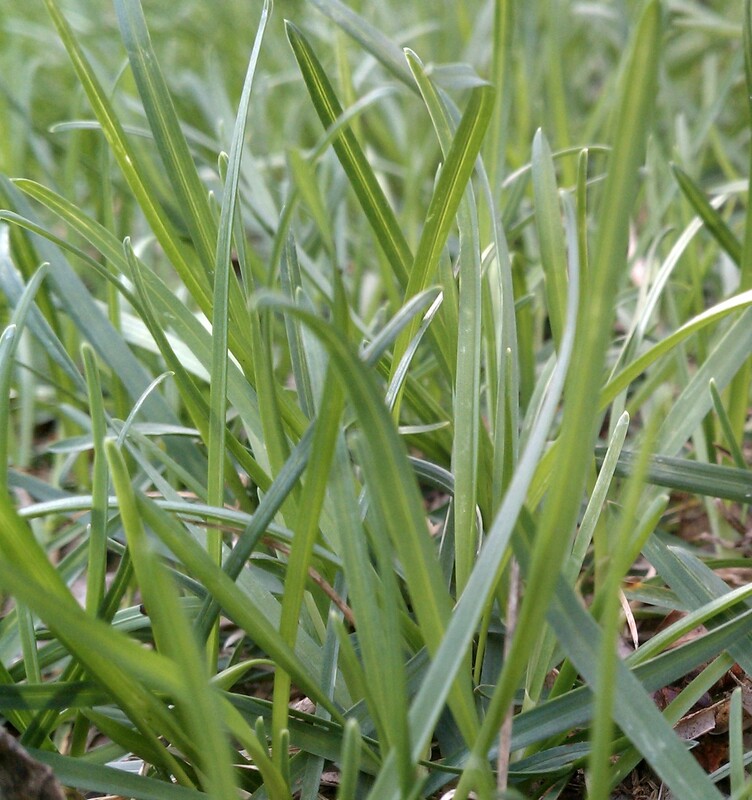 Kelly Feehan, UNL Extension Educator from Platte County advises if new growth is beginning to occur on your herbaceous perennials, to rake the leaves/mulch into a nearby pile. This allows the new growth to get acclimated to sunlight but allows the mulch to be raked back onto the growth in the event we end up with a cold snap. I know some people have planted peas and potatoes. Check out the Vegetable Planting Guide that Gary Zoubek, UNL Extension Educator in York developed for suggested vegetable planting dates for our area: http://york.unl.edu/water-environment. Thursday, April 5th, Backyard Farmer returns for its 60th season on NET1 at 7:00 p.m.! Also, on Thursday, April 19th, we will have a workshop on Container Gardening Fun at the Clay County Fairgrounds from 5:30-7:00 p.m. More information to come! Please RSVP to jrees2@unl.edu or (402) 762-3644. The warm weather is creating the temptation to get outside and garden! But patience is a virtue and it’s only March! Here are some great tips from Elizabeth Killinger, UNL Extension Educator in Hall County about waiting on spring tasks. The warm weather these past few days has gotten everyone ready to head outside and get their hands dirty. Just because it feels like spring, doesn’t mean we have to finish all of our spring to-dos now. Happy Belated Spring! I meant to get this posted earlier this week but just didn’t get it done. I love living in Nebraska and being able to observe God’s creation via the changes in seasons! Spring and Fall are probably my favorite, but there’s beauty in all of them. Everything is 2-3 weeks early this year so will be interesting to see if we end up with March going out like a lion or if we end up with an Easter freeze like we did a few years ago. While it wasn’t a bad winter, I always enjoy seeing new life and green in the springtime! My favorite tree is the magnolia and someday I hope to have one! 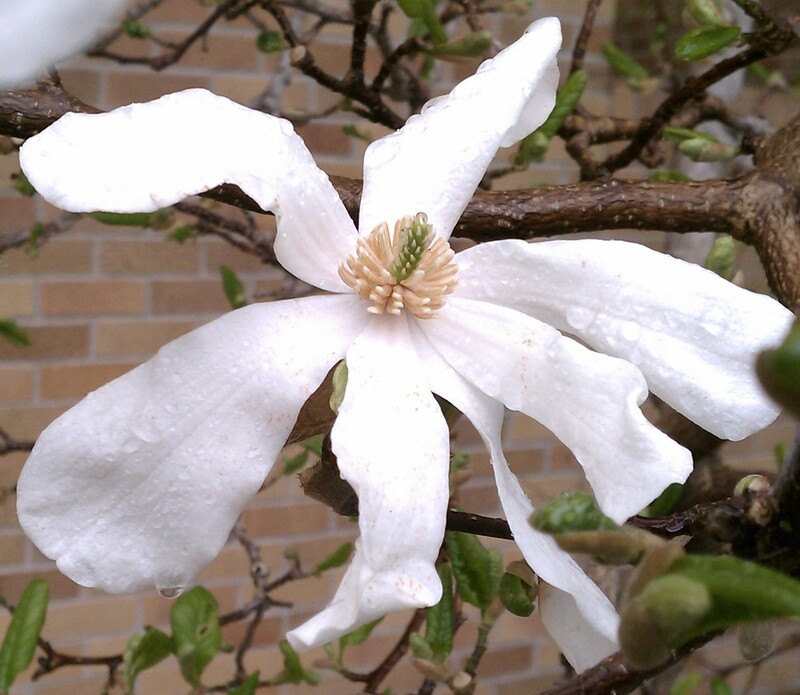 I always enjoy going to UNL East Campus in the spring and seeing the magnolias in bloom. 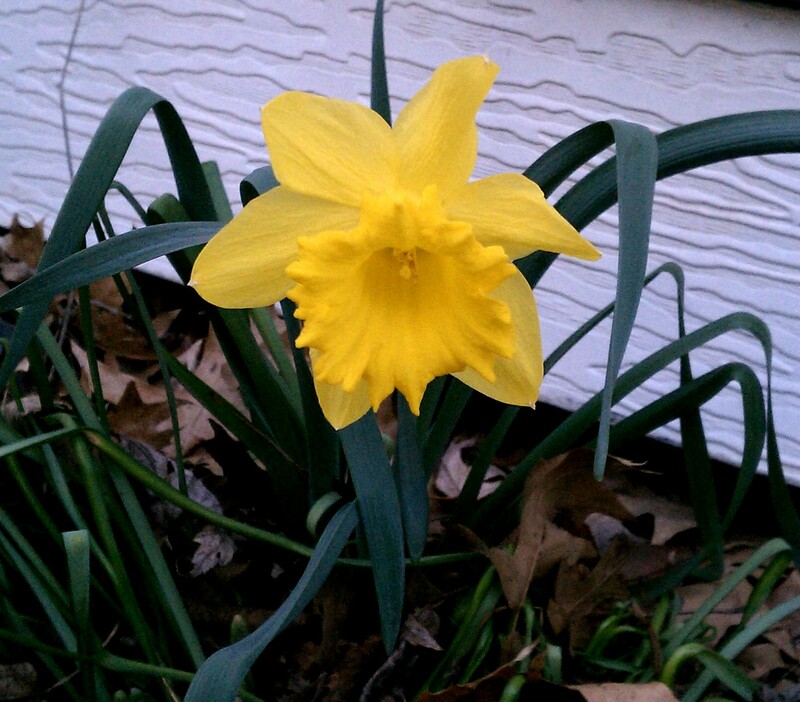 However, I was surprised how quickly they bloomed this year and that they were already loosing their blossoms! 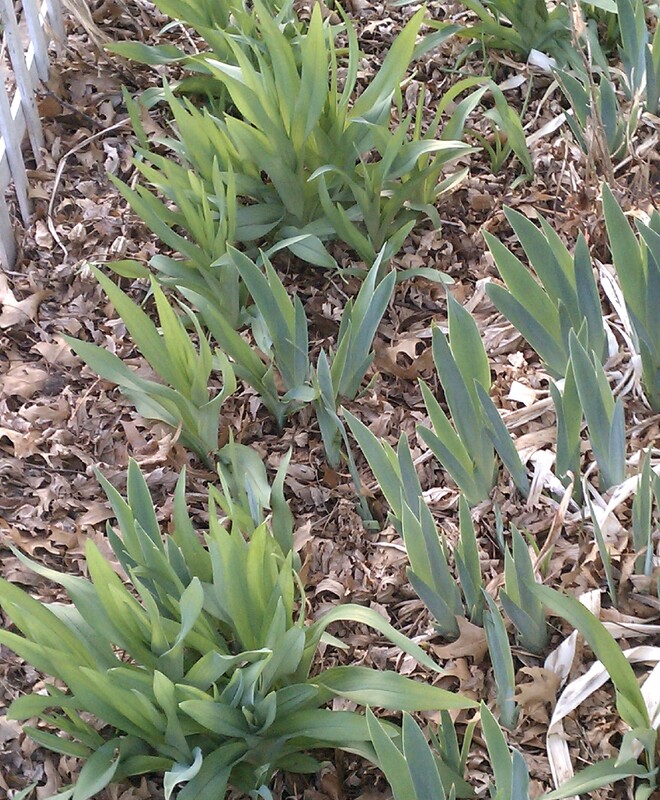 Through the leaf mulch even my iris and daylillies are emerging. I haven’t removed mulch yet in the event we end up with a cold snap. It’s still early, though tempting! Great resources from UNL regarding horticulture and turf: http://byf.unl.edu/ and http://turf.unl.edu/. This is the first year we are doing a Crop Science Investigation (CSI) Big Red Camp for youth! We’d encourage any youth who enjoy plants, science, and agriculture who are 15-18 years old and who are interested in having fun learning about these topics to check this out! Big Red Camps are open to youth in any State. Please help spread the word! There are a variety of careers related to plant sciences such as: Agricultural Communicator; Agronomist; Cro p Consultant; Crop Insurance Adjuster; Educator; Co-op Manager; Farmer or Rancher; Farm Credit Banker; Field or Lab Researcher; Plant Breeder; Soil or Water Conservationist; Seed, Fertilizer, or Chemical Sales; or Technical Representative. A few weeks ago I shared some thoughts with you regarding what I learned from an animal welfare conference. We have an opportunity to hear more in at a much closer location-Sutton Community Center in Sutton-on March 12th at 6:00 p.m. Dewey Lienemann, UNL Extension Educator will be presenting on “Protecting Nebraska Agriculture” following a meal sponsored by the Sutton Chamber of Commerce Ag Committee as well as area Cattlemen Associations, Breeders & Feeders, and Ag Producer groups. Anyone interested is invited to attend-and I would encourage anyone who possibly can to attend. This topic not only affects livestock producers, it affects crop producers, and consumers as well. It’s very important to understand how various interest groups are attacking animal agriculture and why and how we in rural America can share our stories. Please pre-register by contacting Tory Duncan at (402) 773-5576 or ccntory@gmail.com or Todd Mau at (402) 773-5224 or todd@toddstrailers.com. Another opportunity for learning more about family farm transition is with the last Farmers/Ranchers College program this year. It will be March 15 in Friend at the San Carlos Community Room (next to the Pour House) with meal beginning at 6:00 p.m. (Registration at 5:30 p.m.) The program entitled “Discussing the Undiscussabull” will be presented by Elaine Froese from Manitoba, Canada. Froese’s expertise in helping families get unstuck is sought after across the country. She has worked with families in business for over 20 years and is now coaching the next generation. Elaine believes that change is an opportunity, not a threat…she has practical tools to help people discuss the “undiscussabull” to make their dreams come true. In order to save your spot and reserve a meal, registration is needed by calling the Fillmore County Extension office at (402) 759-3712. The Farmers & Ranchers College is sponsored by area agribusiness, commodity groups in collaboration with the University of Nebraska-Lincoln Extension.